In part 1 of this series, I talk about the benefits of growing sprouts. They are health, easy to grow, and do not take a great deal of space. 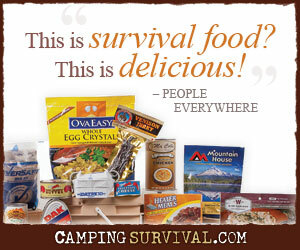 This is helpful for any prepper, but even more so for the prepper who is planning to bug-out on a boat. If you have quart jars or sprouting trays, you can sprout. Place the seeds in a jar with a lid that has holes in it for drainage. You will have to make a few trial runs to determine just how many seeds to soak. You can purchase the lids from a seed retailer. If you cannot find plastic sprouting lids, just punch some holes in a metal lid. Fill the jar with water and rinse the seeds. Drain them through the lid. If you have sprouting trays which can be bought from seed retailers, follow the same basic steps. Fill the jar with water again and let the seeds soak overnight. The next day, drain the water from the jar of sprouts. Place the jar in a warm place, about 60-80 degrees F, out of direct sunlight. Rinse them twice daily, draining off excess water each time. The sprouts will start to grow. It generally takes about three to five days for the sprouts to grow mature enough for use. When the spouts are mature, expose the sprouts to sunlight after they start to mature. Put them on a windowsill for a few hours to build up the chlorophyll that gives sprouts their green color. You do not have to place them in direct sunlight however. When they have turned green, harvest and eat the sprouts. Bean sprouts are best eaten when the sprout pops out of the seed. Sprouts can be kept in the refrigerator for a few days in an airtight container with a paper towel under the sprouts. Sprouts go bad after 3 to 4 days. If you cannot eat them all, freeze them for use in stir-fry meals. In the final post in this series, I’ll share some other ideas we’ve had for gardening afloat. Awesome! I did not know this. Thanks for sharing. It is simple and wholesome. I agree, Sherron. I hadn’t given this much thought before reading Mike’s article.